Australia is a beautiful destination to live and work. Every year, the country welcomes thousands of foreign-trained professionals and encourage them to follow their dream of a better life. However, when it comes to making a career move, it makes sense to think strategically and look at the bigger picture. Like where the job market in your chosen country is headed, and what employment opportunities hold promises for skilled immigrants. 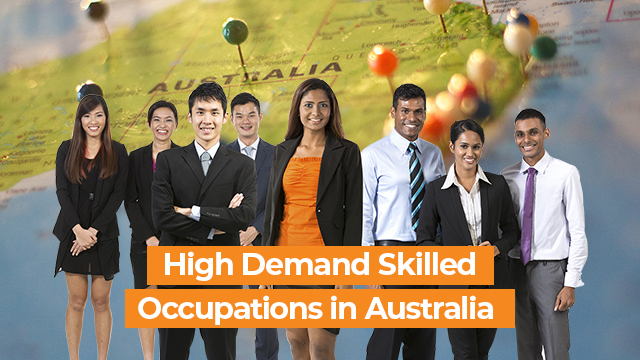 As you do not have any crystal ball to see your future in Australia, we have put together a list of occupations that and exist in the Skilled Occupation List Australia in 2019 and will be the most sought-after. Australia is definitely facing an undersupply of qualified teachers, especially math and science. However, there is an oversupply of teachers in other subjects. The trend is alarming as its negatively impacting the classrooms and the way teachers are being recruited in the country. However, the trend is going to change soon. As per the reports given by the Australian Council for Educational Research (ACERT), there will be a surprising growth of primary students, which will further shift the demand flow for secondary schools as well. Employment for part-time teachers will become more prevalent in the coming years. Having said that, it’s easy to understand that the demand for teachers continues to be strong and will retain its place in skilled occupations list Australia. Australia is lauded for its huge industry base, which includes mining, defense, civil infrastructure, and more. In fact, occupations such as Construction Project Manager and Engineer Manager top the NSW Skilled Occupations List. This clearly states that the profession is poised to undergo a huge growth in 2019. As per the University of NSW, the number of graduates passing every year are unable to fulfil the demands for engineers because of the high-demand. Thanks to the major infrastructural developments that are happening across Australia and consequently have increased the demand for specific types of engineering skills. Following the current bandwagon, the major spots are available for civil and structural engineers, geotechnical, and transport engineers. Currently, Australia is experiencing a severe shortage of Electricians and Tradesmen primarily in the construction industry. As per the current scenario, the Australian government has kept the both the professions on both medium/long-term and short-term Strategic Skills List. Having said that, electricians have the better opportunity to apply for the Australia immigration with the availability of 9,000 visa places. Not only this, people with skills in carpentry, plumbing, mechanics, etc. are supposed to grab the greatest number of jobs in the next 10 years. So, get ready to take charge of your career in Australia with above-mentioned occupations in mind. 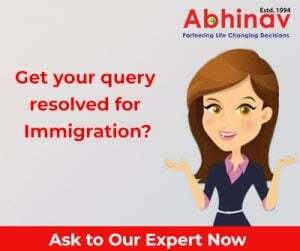 In case of any doubt regarding Australian Immigration Visa Requirements, do not hesitate to contact a professional consultant and get the best advice for all your visa needs.